Learning Tree is proud to offer the following Communication Specialist & Expert Certifications, so you can validate your communication skills. 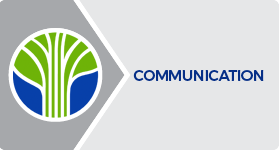 As a Certified Specialist in Communication Skills, you have the knowledge and key skills to communicate effectively using simple, concise and direct language in order to achieve results in your communications with others. You build relationships that emphasize trust and respect, and apply influence strategies to gain commitment from others and foster collaboration. As a Certified Expert in Communication Skills, you have demonstrated the ability to achieve results in your communications with others and have the expertise to handle difficult situations with a flexible, genuine and self-confident approach. You have the key skills to communicate effectively using simple, concise and direct language.